Certified Nursing Assistant programs are attracting more and more candidates year after year. If the training is done properly, the expertise can help build one’s career in a relatively short span of time. But, the biggest hurdle in the processis choosing an appropriate training provider. This is often the most difficult task and has to be undertaken with great care. Once an appropriate CNA training provider is chosen, one can start training and soon become a Certified Nursing Assistant. Who Hires Certified Nursing Assistants? 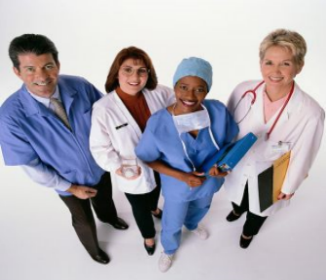 There are multiple job opportunities for the CNAs in the market. The biggest recruiters are the hospitals, healthcare and long-term care centers, and other similar establishments. Once the CNA training is completed successfully, a nursing assistant is certified and fully authorized to start practicing. The job of a CNA is not easy and can be termed as a demanding job that comes with a lot of responsibility. The job is to help sick people and patients suffering from any possible ailmentsrecover. People who have the knack of helping people and feelings of care embedded within them are the most appropriate candidates for becoming a CNA. To choose the most appropriate CNA training program, adequate research and study is a must. The easiest way is to talk to some practitioners about their experiences, discover when they underwenttheir course, which provider they chose and why. Consulting seniors is always beneficial; you could also talk to your friends or peers about the same and leverage any knowledge they have about any training providers. Once the groundwork is done, you could visit selected centers and talk to the representatives there. It is important to understand the course structure, the number of hours required, fees and several other details. One should make proper note of the faculty members and other facilities provided by the training provider. Many training centers provide a free demo session to give an introduction to the program. If they don’t, you could request them to allow you to attend an ongoing class and see for yourself. The information specified above needs to be collected for all the training providers, which are under consideration. Another important thing to keep in mind is the government regulations. There are strict guidelines from the government regarding the number of contact hours as a practitioner and also class room sessions, which a trainee must undergo before practicing as a full time CNA. Many a times, it so happens that the training centers promise various offerings, which they do not fulfill. The offerings are generally made to lure people and are not done with the intent of providing it in reality. One must be careful about such practices and should refrain from choosing these institutes. Once the database of required information is prepared by visiting the centers, one can evaluate the critical parameters and choose the best possible option for pursuing the training.To become a CNA, an adequate amount of education and training is essential and all this depends on the right CNA training provider.